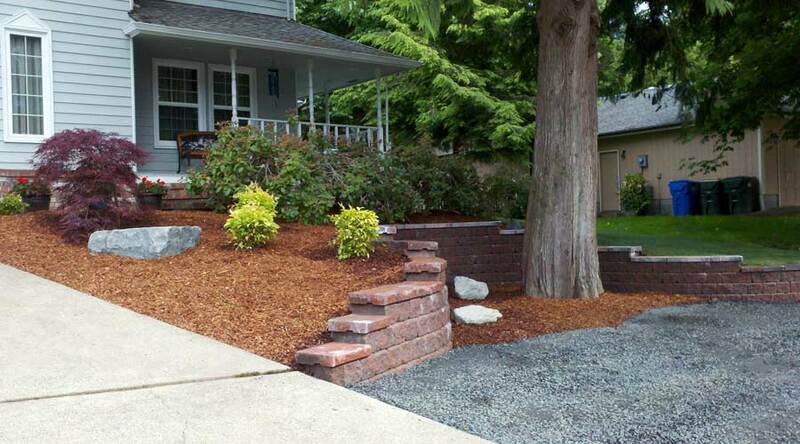 This wall replaced an existing rockery and steps. 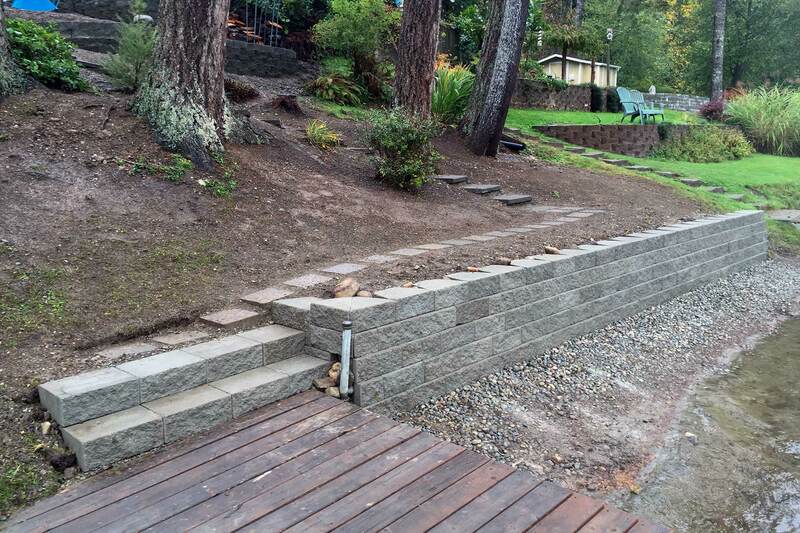 Installed to create more lawn space, this wall was also built in a wavy line and topped with a coping unit (cap) to add character and give a very finished look. This wall is small and effective, while at the same time providing a natural look by using stone. Two manor stone walls create a terrace to prevent erosion and give functionality. 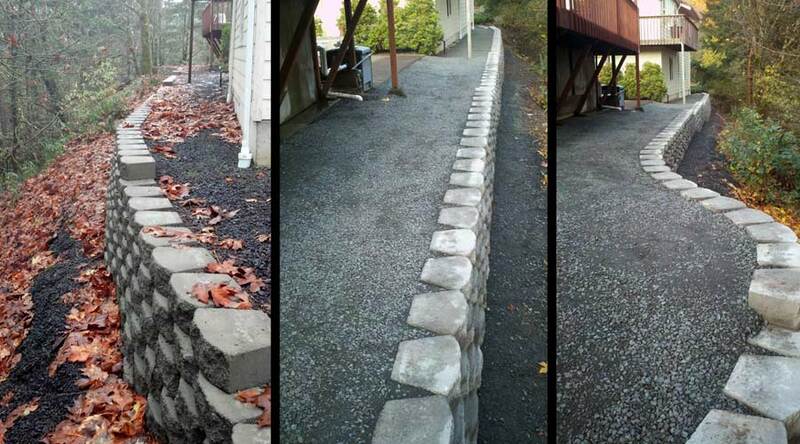 This split level wall is part of a much larger project involving a patio with fire pit, landscaping and other aspects, but is a great example of terracing at different angles to provide functionality and interest. 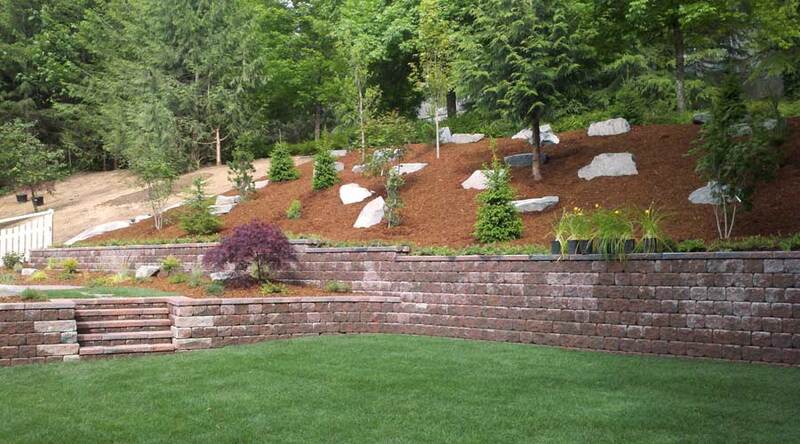 Retaining walls can be constructed using either concrete segmented block, or by using natural stone. Both styles can be used for the same purpose to provide you with the look and function that you desire. 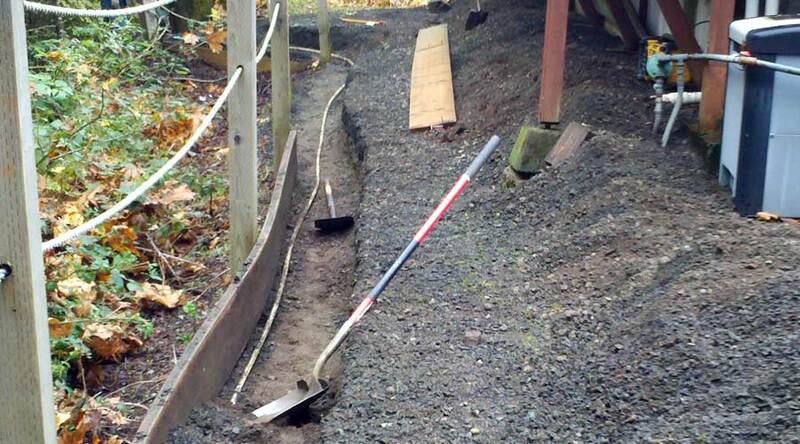 They can be used to construct raised garden beds, patios and paths. 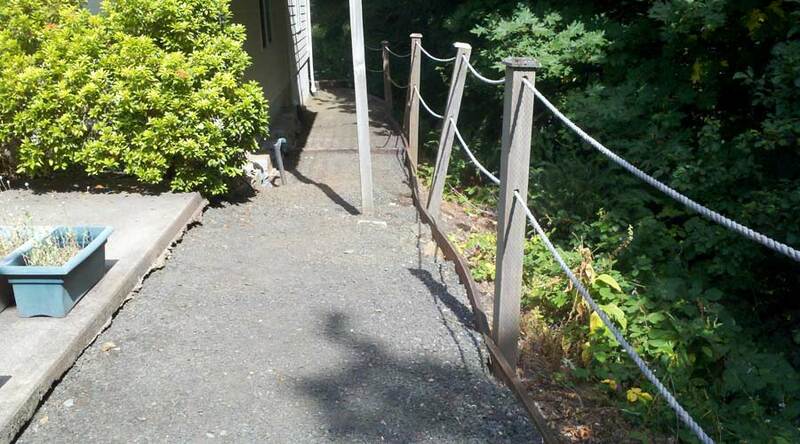 They can be used to terrace sloped property or to create terraces on your property. 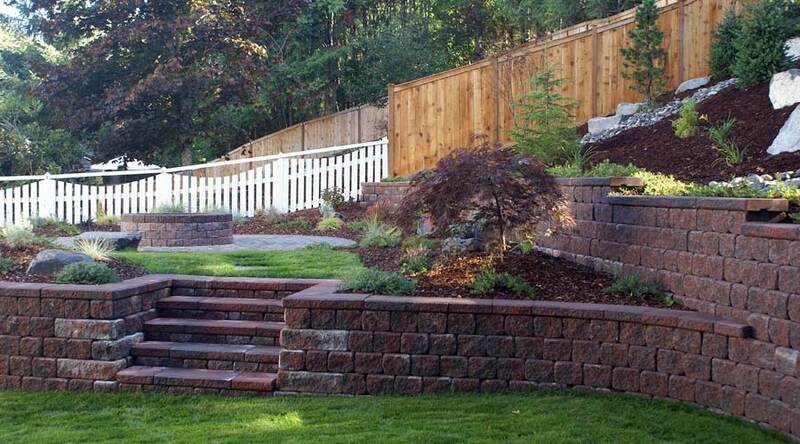 Sunken patios are also able to be installed by using retaining walls. 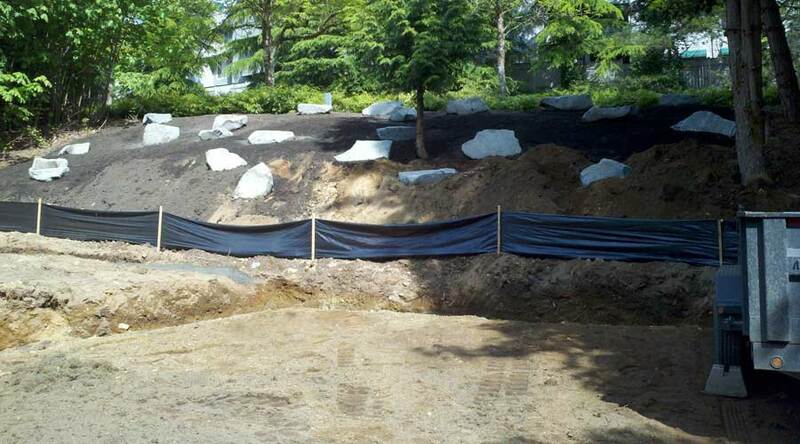 Stone is also available in many different colors and can be installed to have a smooth or rough face. However, the bigger the wall, the bigger the stone must be to retain functionality. There are also different shapes of stone that can be used to build. Flat/square and also round stone can be used to build the wall, and can also be mortared or dry stacked. Stone can also be used as a veneer on a concrete wall. 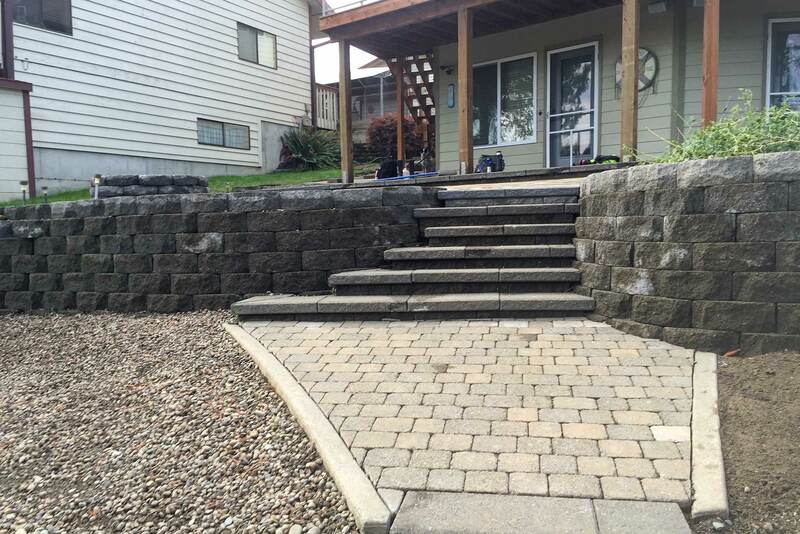 Stone walls tend to be more expensive due to the amount of extra labor of fitting stone together and the quantity of material needed to stay within standards and guidelines, whereas concrete block are all the same size and are made to fit together perfectly. Both types of walls still provide the same functionality regardless of what is used. 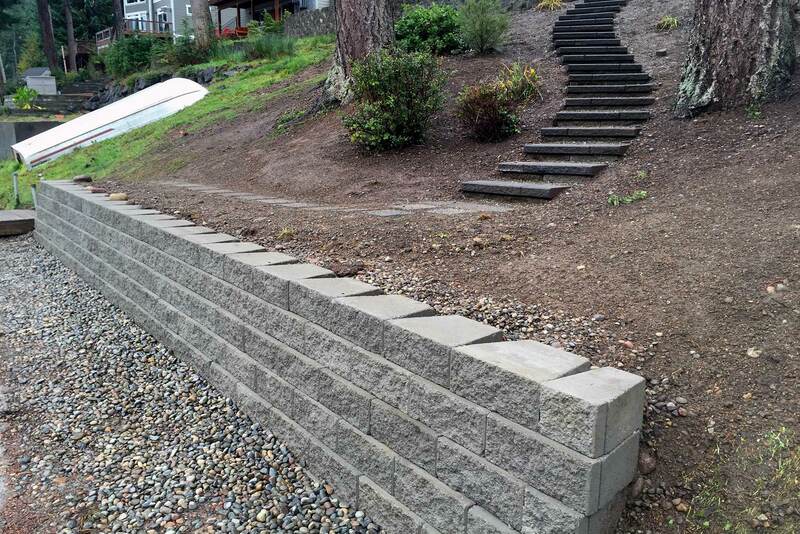 Most retaining walls can not be built over 3-4 feet high without involving an engineer to design the installation. If an engineer needs to be consulted, they will take soil samples and test density of the soil etc. Using the information gathered, they will provide a plan and instruction on how the installation should be done. This will incur extra expense and possibly limit the installation to a certain type of material and should be reviewed on a case by case basis. 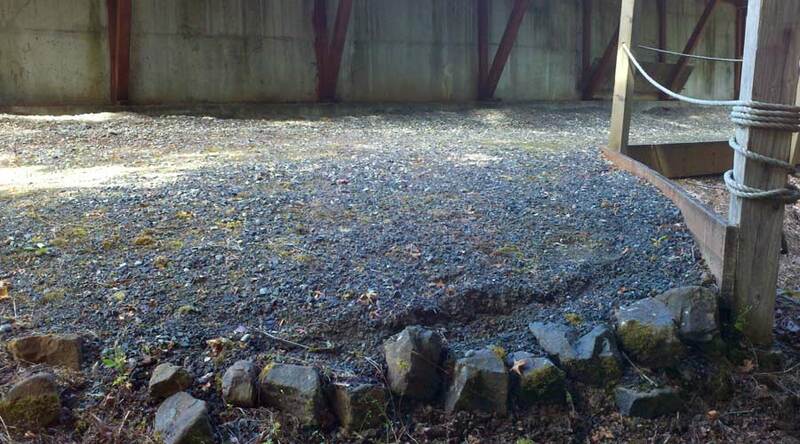 The original retaining walls were poorly installed. Dreamscapes rebuilt them and brought them up to grade so they wouldn't fail again. 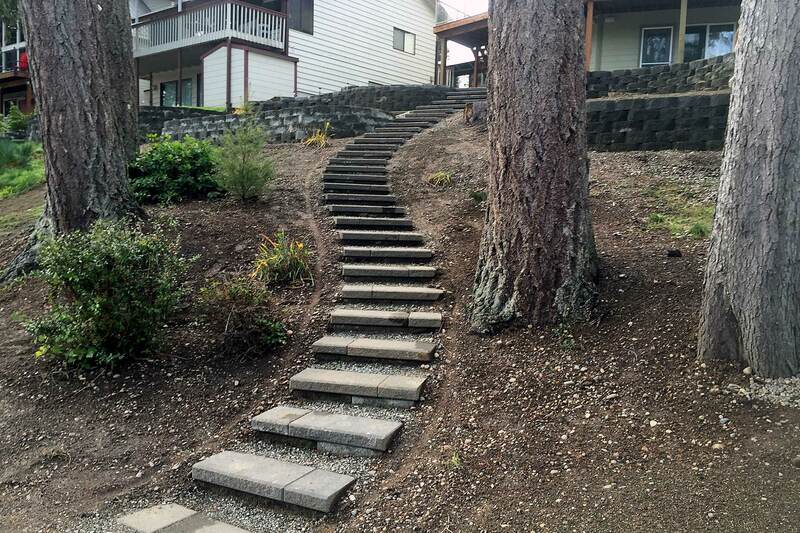 In addition to rebuilding the retaining walls, Dreamscapes rebuilt this staircase, winding it into the hillside. This beautiful, winding staircase was completely rebuilt as part of the restoration process. This paver landing matches the paver patio above. All of the paver stones were sealed to preserve their color and extend their life. 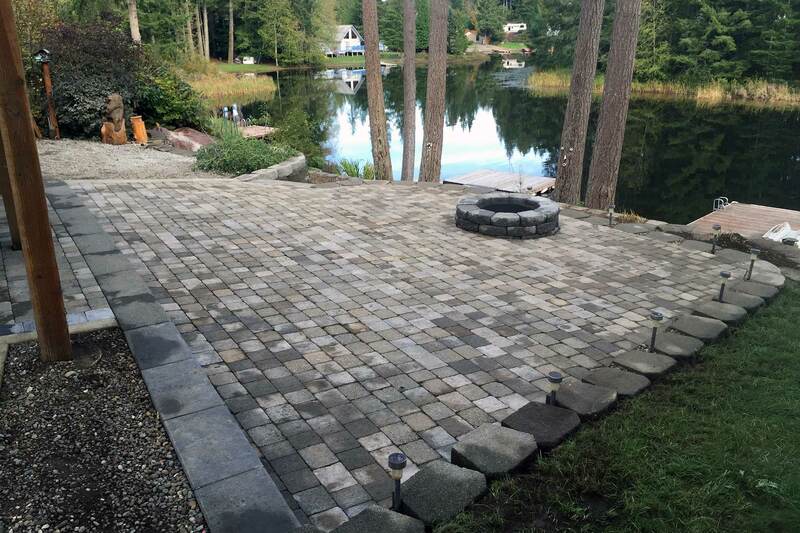 Dreamscapes completely removed the original, poorly-instealled paver patio and replaced with this 600 sq. ft. sealed patio and fire pit. 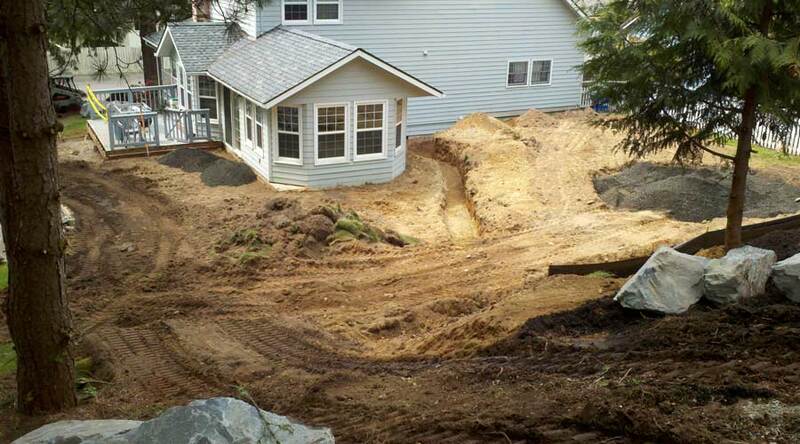 This project was a complete overhaul. 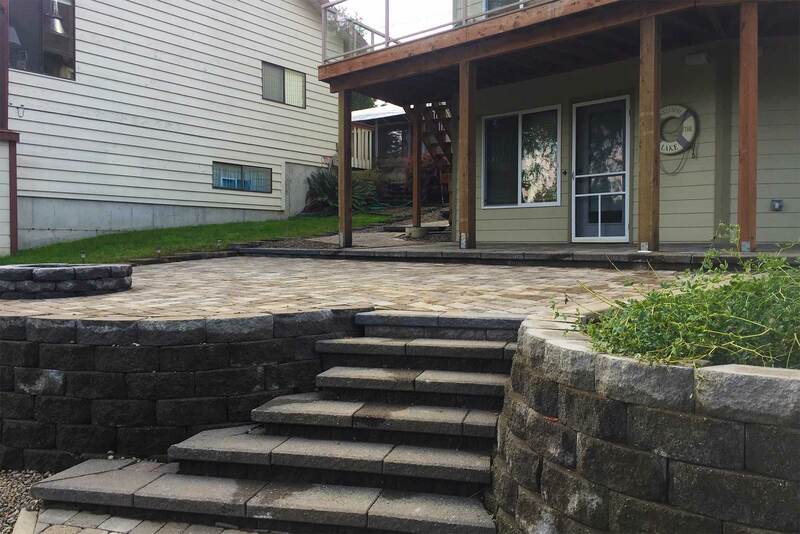 Dreamscapes removed the paver patio, stairs and retaining wall and rebuilt it all from scratch.